The Newel K. Whitney Kirkland, OH home, 2017. Photo by Kenneth Mays. Newel Kimball Whitney and his wife, Elizabeth Ann Whitney, were converted to the gospel in November 1830 in Kirtland, and baptized by Sidney Rigdon. Joseph and Emma Smith lived here for several weeks after arriving in Kirtland. Elsa Johnson was healed from having rheumatism in her arm, one of the first miracles to occur after the organization of the Church. 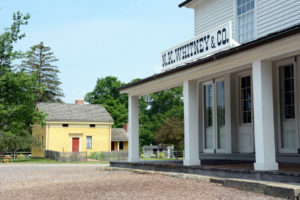 Sections 41-44 of the Doctrine and Covenants were likely revealed there since Joseph Smith was living at the Whitney home when they were received. 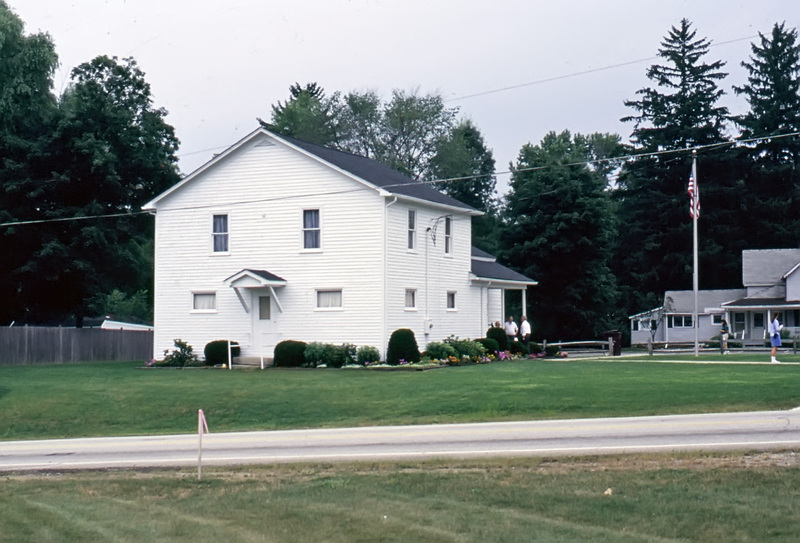 It was at the Whitney home where the Prophet Joseph Smith healed a sister by the name of Elsa Johnson from having rheumatism in her arm which resulted in the conversion of Elsa and her husband. 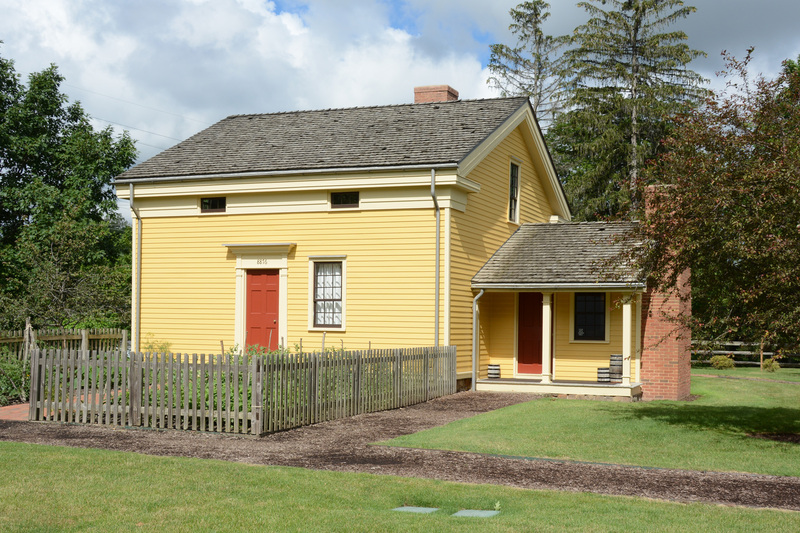 Also while living in this home, Joseph Smith extended a call to Edward Partridge to be the first bishop of this dispensation. 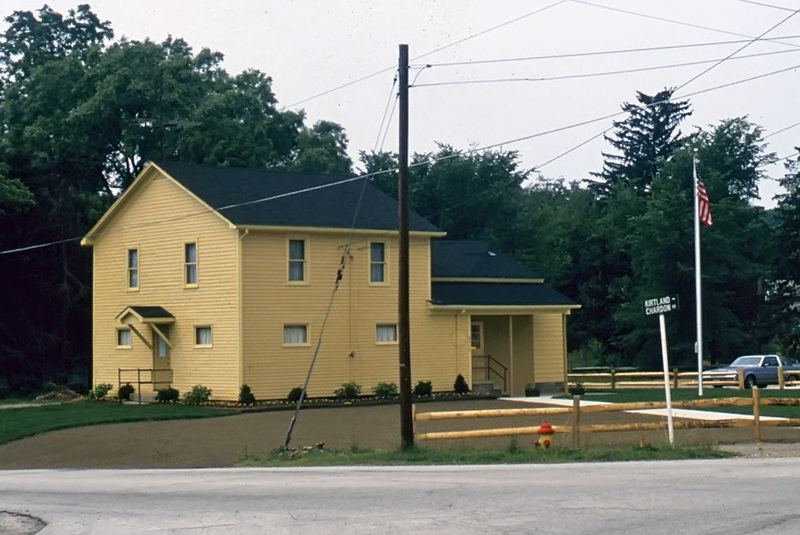 In 2003, The Church of Jesus Christ of Latter-day Saints restored the Newel K. Whitney Home. 1 Joseph Smith, History of The Church of Jesus Christ of Latter-day Saints, 7 vols., introduction and notes by B. H. Roberts (Salt Lake City: The Church of Jesus Christ of Latter-day Saints, 1932-1951), Ch. 13, footnote. The Newel K. Whitney Kirkland, OH home, 1985. Photo by Kenneth Mays. The Newel K. Whitney Kirkland, OH home, 1999. Photo by Kenneth Mays. 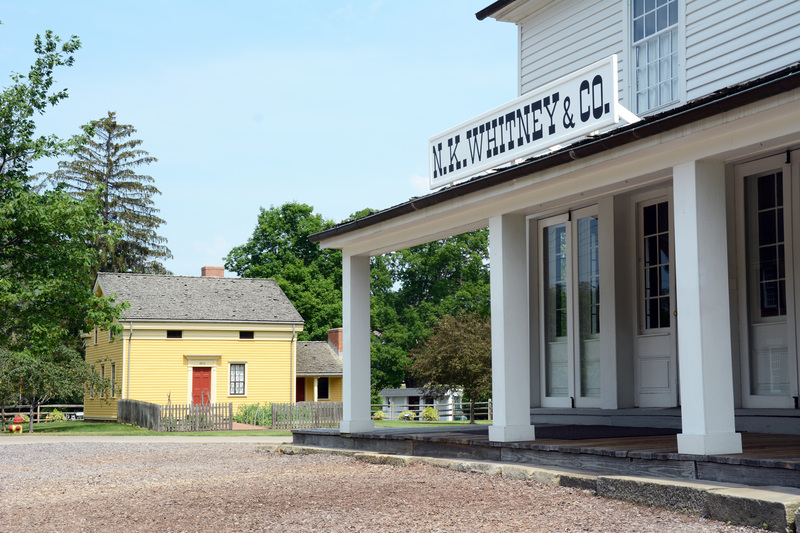 Newel K. Whitney home and store, 2017. Photo by Kenneth Mays. Source(s): Edward W. Tullidge, The Women of Mormondom (New York: Tullidge & Crandall, 1877), 41. Source(s): Joseph Smith, History of The Church of Jesus Christ of Latter-day Saints, 7 vols., introduction and notes by B. H. Roberts (Salt Lake City: The Church of Jesus Christ of Latter-day Saints, 1932-1951), Ch. 17, footnote. D. Michael Quinn, “The Newel K. Whitney Family,” Ensign, December 1978, 42.